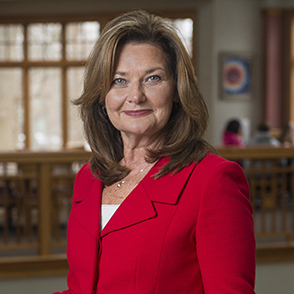 If you were to ask President Leary what she considers her greatest accomplishment to be, she would likely point to the thousands of women who – despite the odds – now have a college degree thanks to Bay Path. As the first in her own family to achieve a college degree, to Dr. Carol Leary, scholarship support is personal. With a gift to The Carol A. Leary Endowed Scholarship Fund for First Generation College Students, you make a personal investment in the life of a woman with dreams of higher education. Please click here to make your gift to The Carol A. Leary Endowed Scholarship Fund for First Generation College Students. In celebration of Dr. Carol A. Leary's 20th year as president of Bay Path, alumni and friends made gifts to this special and very personal scholarship, and that community support continues today. Please note that all endowed scholarships have been created within the context of the Bay Path University mission and are therefore intended for Bay Path students. Scholarships are awarded to students who meet the fund's criteria as determined by the donor and the Office of Financial Aid.